There are three main ways in which the requirements for healthcare laundering differ from those in hospitality. First: Healthcare customers require clean linen seven days a week, 365 days per year. This may seem similar to some hospitality contracts but in healthcare, this is non-negotiable and there is no “slack season”. Healthcare laundering needs uniform cash-flow, very efficient use of machines and very reliable financial projection. Second: The textiles themselves must be thoroughly and consistently disinfected to a defined standard, unlike the variable (and sometimes non-existent) standards to which some hospitality launderers currently work. 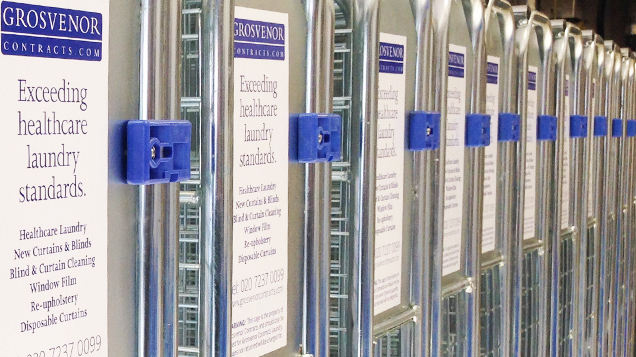 Healthcare launderers must be able to satisfy the requirements of the EN14065:2002 Textiles – Laundry processed textiles – Bio-contamination control system, or an equivalent standard. This calls for feed-back verification of disinfection in addition to the normal feed-forward controls that were developed many years ago by the International Scientific and Technical Committee on Laundering (ISTCL). Third: The laundry must implement stringent controls that not only protect the user of the textiles from infection but also protect the laundry’s neighbours, employees and collection and delivery staff. This extensive protection requires systems and procedures that control infections in the workplace, on the linen’s journey and in the environment and these differ from those that simply disinfect the end-product. Healthcare contracts which rely on the healthcare provider buying and maintaining the textile stock can seem attractive as they minimise investment in new textiles. But this benefit only applies if the customer buys sufficient stock and then maintains it correctly. The life of a healthcare textile can vary widely depending on the type of establishment and the classifications required. For example a public hospital dealing with acute cases will be despatching patients to other hospitals, to care homes or nursing homes and to private homes on a daily basis and each patient may be accompanied by several pieces – a blanket, pillow and pillowcase. An equivalent number might come back as patients arrive at their new hospital but it is unlikely and there will be a net weekly loss of textiles that is difficult to control and that must be budgeted for in the monthly injection of replacement stock. The same applies to many types of staff wear, such as scrub suits for theatre teams and uniforms for other areas. These garments may be supplied in multiple colours and sizes and if a staff member fails to find the right size in the right colour, it can lead to an immediate complaint and urgent need for replacement. Customers that maintain their own uniforms must understand from the start that the top-up rate for these classifications can be many times the rate calculated on the normal life based on wash and use cycles. The temptation to let staff take a bespoke uniform home for washing must be resisted because this practice breaches most infection control requirements in most regions.